Moxy, No Pin Left Standing is our exclusive product line and bowling bag. We stand behind this quality bowling bag as this comes with a 5 Year Manufacturer Warranty. 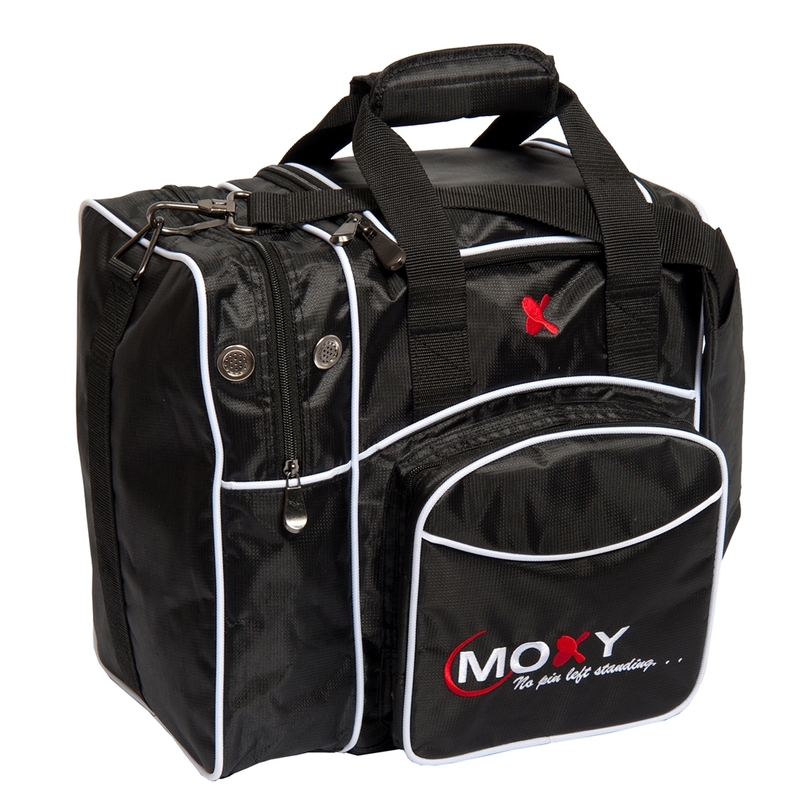 For an affordable, yet durable bowling bag, choose Moxy. This stylish 1 ball deluxe bowling bag is the perfect bag to carry your bowling ball, shoes and accessories to the lanes. This bowling bag has a side compartment to hold up to a mens size 15 shoe and a foam ball holder for your bowling ball to protect the ball. For your extra small items there is a large front accessory pocket and the bag also includes a padded adjustable shoulder strap for easy carry.